The rental store now known as Grand True Value Rental of Hays, KS has been a staple in the Hays community for many years. It was started as A to Z Rental in 1965, then later changed to EZ Rental. In 1996 Tom & Cinda Bird purchased the business and changed the name to Grand True Value Rental of Hays, an independently owned franchise of the True Value hardware company. In the same location for over 48 years, Grand True Value Rental is locally owned and community minded and supports local charities, kids and adult teams, Hays High School, Thomas More Prep high school and Fort Hays State University. 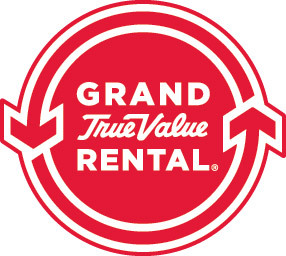 Grand True Value Rental carries a broad line of rental equipment. Tools and equipment for the homeowner, the contractor or industrial and institutional needs. We have also the largest and most complete Party and Event rental line in western Kansas so that Grand True Value Rental can provide for large events such as fairs, festivals or weddings to smaller events, reunions, birthday parties or barbeques. Our knowledgeable and courteous staff will strive to provide our customers with professional service at the best price producing top value. Central Ship in Grand True Value Rental, Hays KS., is a full-service packing and shipping service. We ship using UPS and FedEx. We offer overnight services for business correspondence, as well as secure packing of fragile and hard to pack items. Extra large or heavy items can be crated or palletized and shipped by motor freight. Some items we ship include Artwork, China, Collectibles, Antiques, Medical Equipment, Golf Clubs, Luggage, Furniture, Automotive Equipment, Industrial Equipment, and much more. We accept Pre-paid packages as well. Areas Served include Hays, KS - Dodge City, KS - Salina, KS - Hutchinson, KS - Wichita, KS - Colby, KS as well as their surrounding communities!